Property 8: Lovely Cottage with terrace and panoramic view. Garden, BBQ and Pool. Property 17: Romantic, well equipped house to feel good! Property 20: Restored Mill, riverside, private pool, WIFI, romantic! 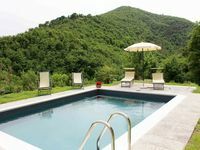 Property 35: Modern Cottage with Pool & Sun Terraces in Bagni Di Lucca. Property 41: Romantic Stone Cottage With Private Gated Pool In Riverside Location . 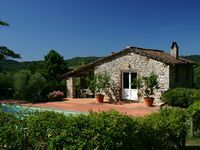 Property 42: Stunning traditional Tuscan country house in Versilia with sea views. Property 43: Casa Matilde. Family Home for 3-4 guests. Private Pool. Property 45: Cozy, garden solarium, sea amazing views, air cond., washer- Lucca Pisa.